Full Truck Load:Full Truck Load (FTL) services form the core offering at Shree Shyam Road Carrier, end to end trucking based services catered through owned trucks for bulk consignments on a pan India basis. Options include customized/specialized fleet as demanded by customer requirements. Bulk Cargo:The movement of commodities in bulk is legendary and is also one of our speciality. 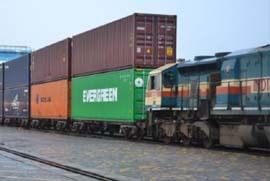 Raw material, semi finished, finished goods are transported through road and rail in bulk we are carrying Rubber, Powder, Food Grade, white goods in bulk for different reputed companies in India. ODC trailers:Shree Shyam Road Carrier Provide better service of trailers. We provide Hydraulic Trailer, Multi Excel Trailer, Low Bed Trailer,Semi LowBed Trailer & FlatBed Trailers at reasonable rates as compare to others. 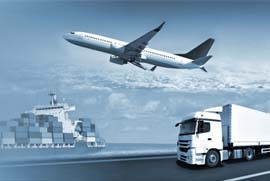 Air freight:Our cargo operations give you a capacity advantage on pan india basis. Own vehicles:SSRC Owns 700 vehicles (32ft SXL, 32ft MXL, 35ft SXL, 35ft MXL, 40ft ODC Trailor, 40ft Low Bed Trailor, Touras and 19ft open), 100 Refrigeraed vehicles (32ft MXL Containers and 40ft Containers). Handling Equipments:SSRC is equipped to provide handling equipments like loaders, cranes and reach stackers, well suited to address a variety ofcustomer requirements. We provide the flexibility of hiring services, or just the equipments. In-plant logistics:SSRC aids customers by managing the movements of raw materials and semi finished goods with-in their plants. These services are supported by a robust infrastructure which includes dedicated vehicles and handling equipments. TransRail offers Rail Freight Forwarding services including conventional transportation in covered/open wagons and containerized rail transport. Movement of bulk volumes is enabled in a much easier manner while participation in railways incentive schemes and bulk discount arrangements lead to cost advantages. Parcel vans are leased/ hired on a need basis, enabling transportation of smaller consignments, these parcel vans serve as cost effective solutions. There are types of parcel vans which can accommodate specialized transportation. Multimodal logistics:We Provide cost effective and flexible solutions by combining transportation modes across road, sea and air. 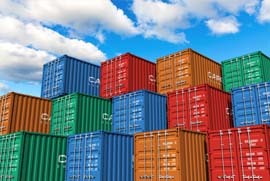 These modes include conventional as well as containerized railway options. Combining these modes intelligently, Shree Shyam Road Carrier provides end to end convenience while enabling cost benefits and safe movement of large volumes. Fluctuating demands, tight schedules add to the need for reliable and responsible logistics providers. 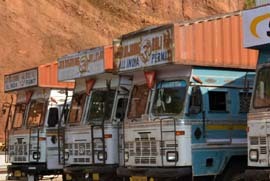 At Shree Shyam Road Carrier, we have Succeeded in meeting a set of unique logistics challenges of every sector. Currently we cater FMCG, Electrical & Electronics, Telecommunication, Automobile, Construction, Oil and Gas, Iron and Steel, Mining and Minerals. We’ll transport almost any items anywhere. We are also a multi modal transport provider. Waterhousing and supply chain is our strength. We mainly offer FTL and 3PL services. We have warehouses in strategic locations for cost effective transport. We have skiller and trained team to support you.